This interview is a delight – and I thoroughly enjoyed making space to hear Rita’s wisdom on how to bring more mindfulness in our day-to-day lives, and why it’s so important to our world right now. She shares her personal journey of growing up in India, the challenges of arriving in the US as a young woman, and how the ancient ways and wisdom of meditation helped her rise in up in ranks as a female leader in tech, and eventually to starting her own company Deva Seed. The threads of her life have led her on a journey to doing the work that I believe, she was destined to do in this life. Mindfulness—both the formal practice of meditation and the moment-to-moment life application–teaches us to be resilient. It reframes our thoughts toward positivity and productivity, and helps us build a deeper sense of empathy, curiosity and compassion. 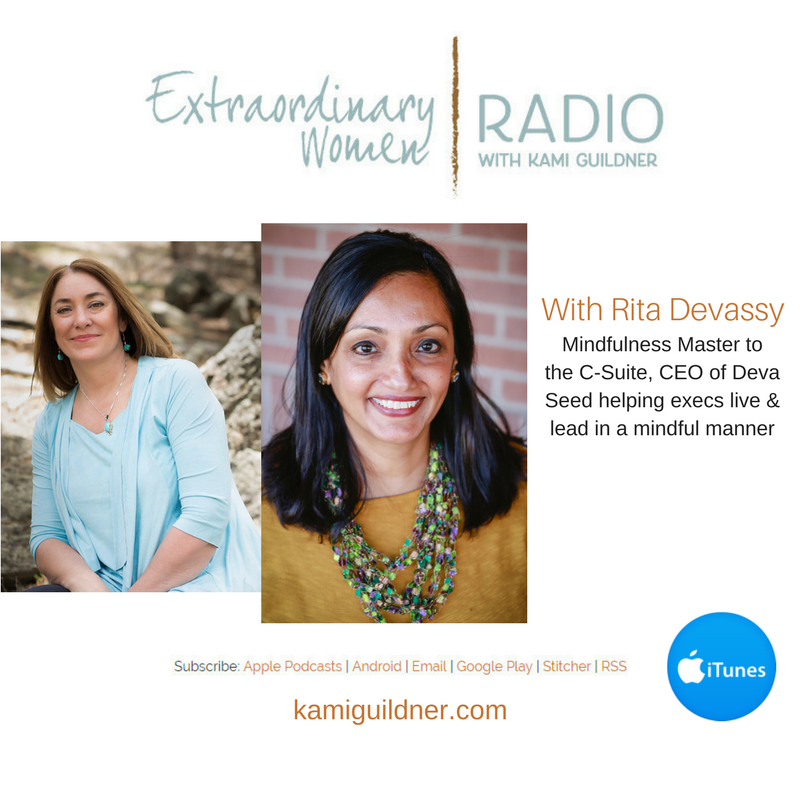 I couldn’t be more pleased to introduce you to Rita Devassy of Deva Seed. Visit her website at devaseed.com, or follow Rita on Facebook on the Deva Seed page or on Twitter at @deva_seed.